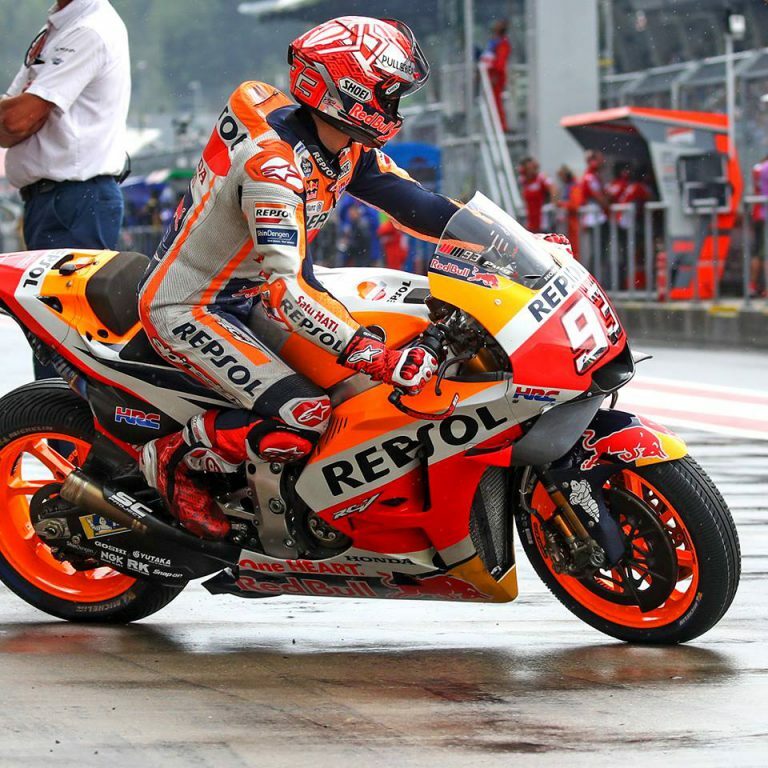 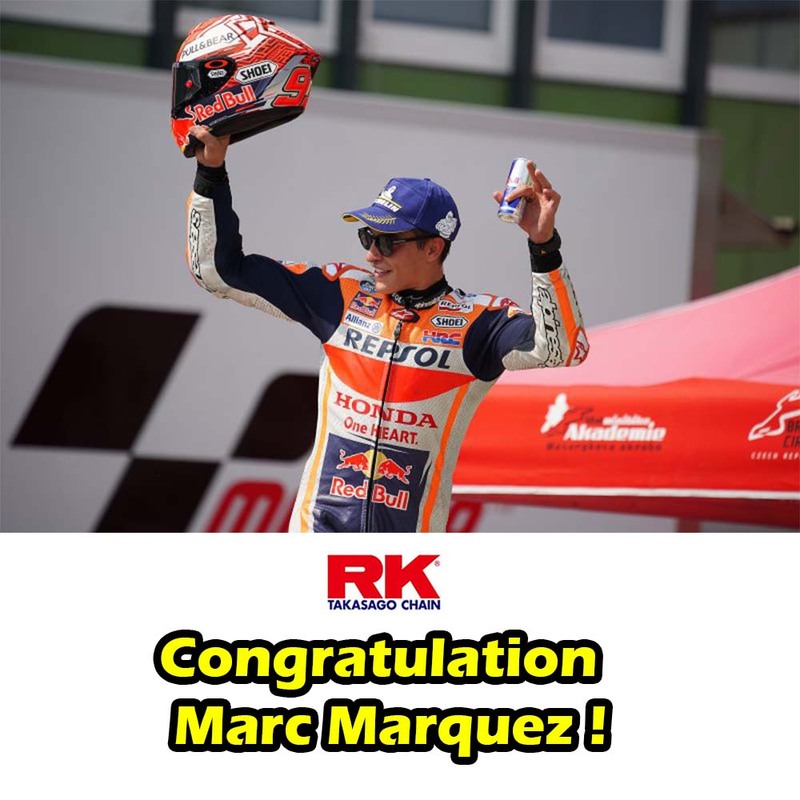 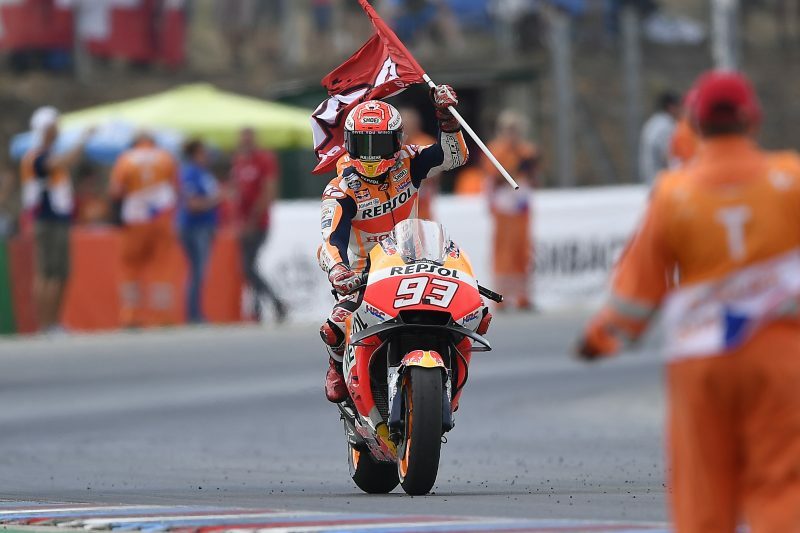 At the Czech GP, Marc Marquez celebrated from the third step of the podium the special milestone of 100 MotoGP races, showing once again the reasons behind the impressive numbers of his still relatively short Premier Class career. 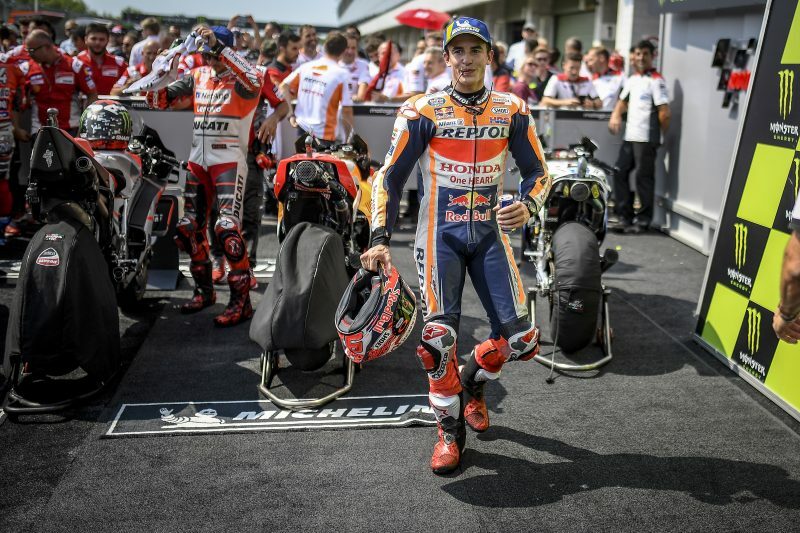 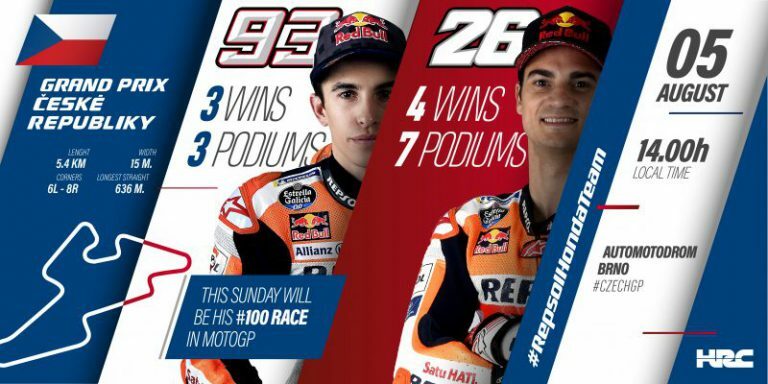 His 71st MotoGP podium out of 100 starts (71%) was the best result the young Spaniard could achieve today, so after sticking with Lorenzo and eventual winner Dovizioso until the last lap of the race, he ultimately settled for third. 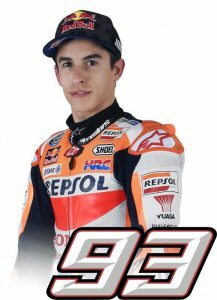 At the same time, he achieved his weekend goal of extending his Championship lead at a track where he did not feel totally comfortable. 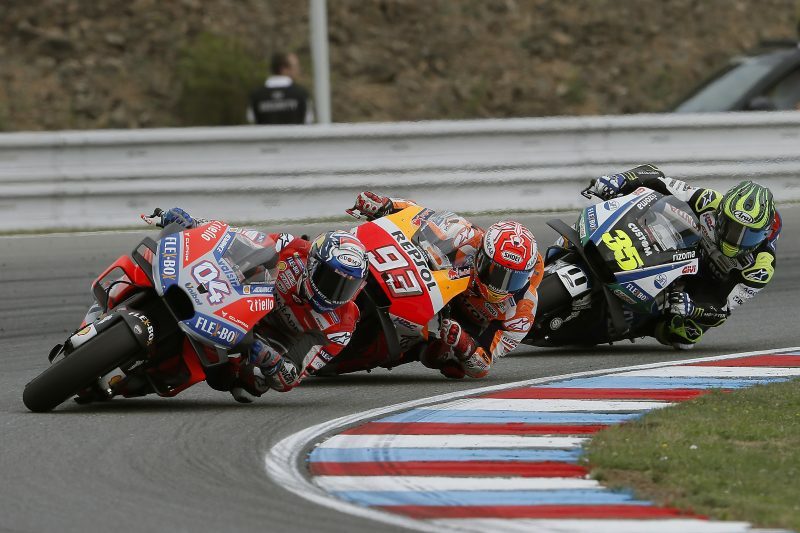 He arrived in the Czech Republic with a 46-point advantage on Valentino Rossi and left with +49. 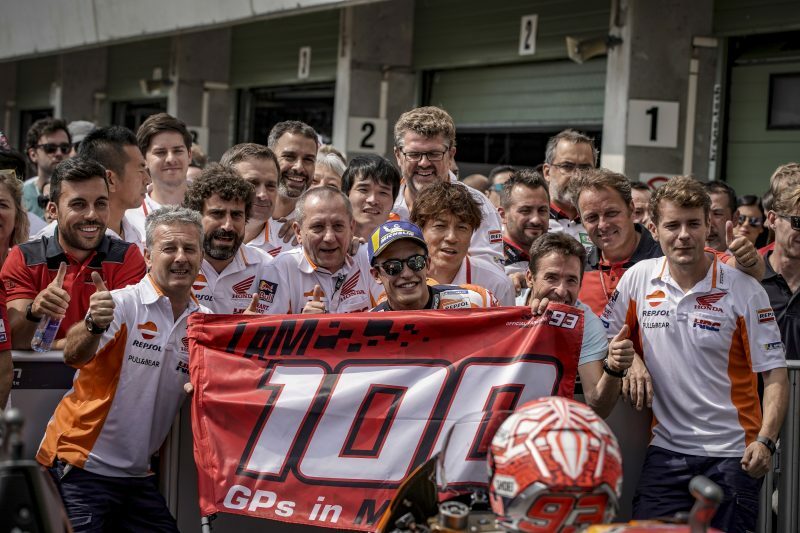 The other statistics related to his special 100th MotoGP milestone are 40 wins (40%), 68 Pole positions (68%), and 42 race-fastest-laps (42%). 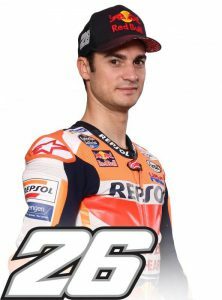 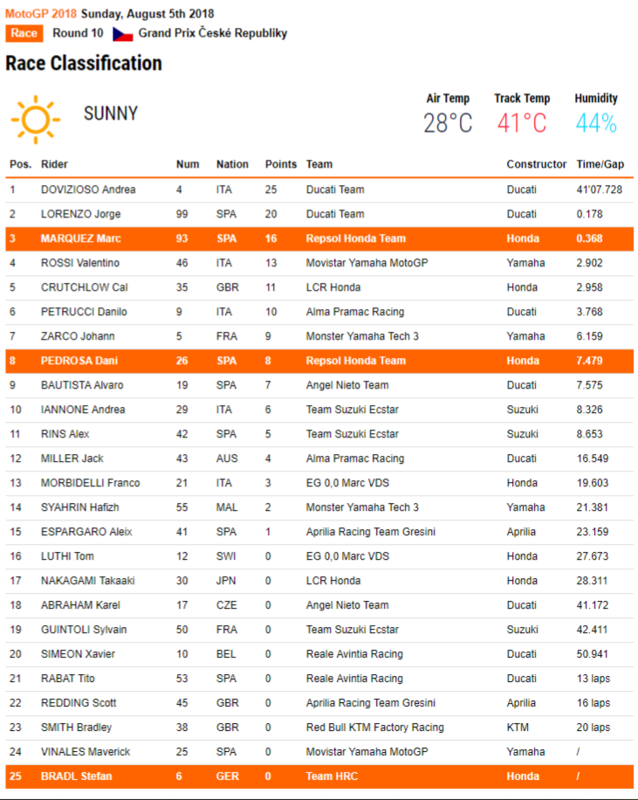 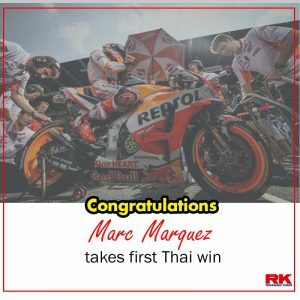 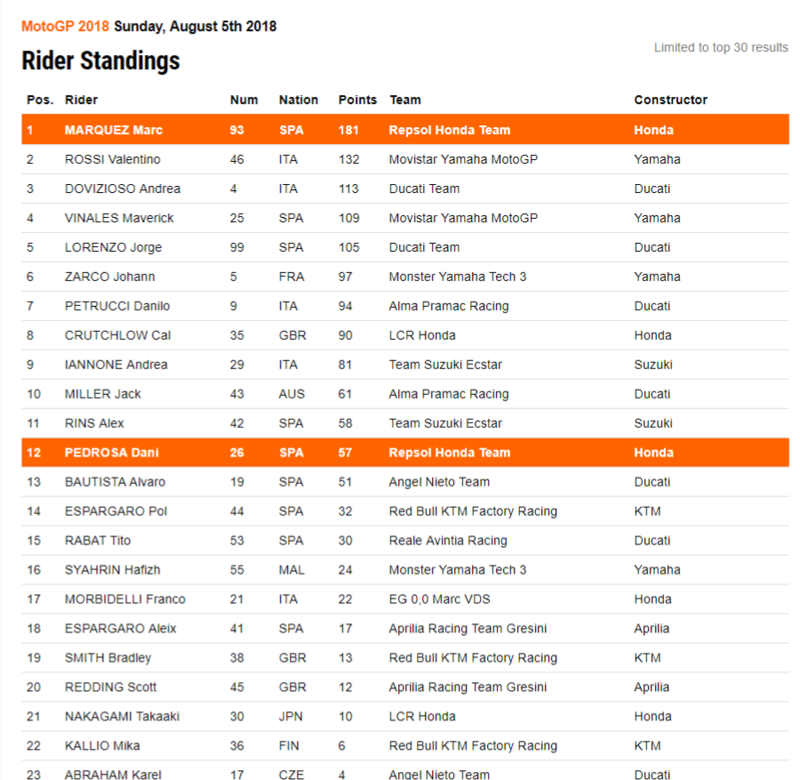 Teammate Dani Pedrosa, who started from 10th on the grid, continued to struggle in corner exits; only at the end of the race was he able to recover two positions and cross the finish line in eighth place. 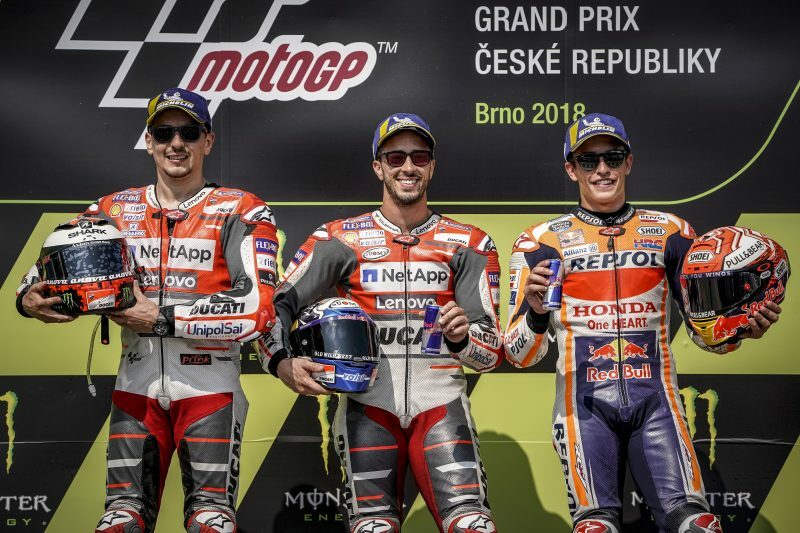 Tomorrow, the Repsol Honda Team will remain at Brno for a one-day post-race test before moving on to Austria for next Sunday’s Grand Prix von Österreich at the Red Bull Ring Circuit.